The film is protected by plastic pocket and organized in a folder with labels. Most film samples are paper-size. 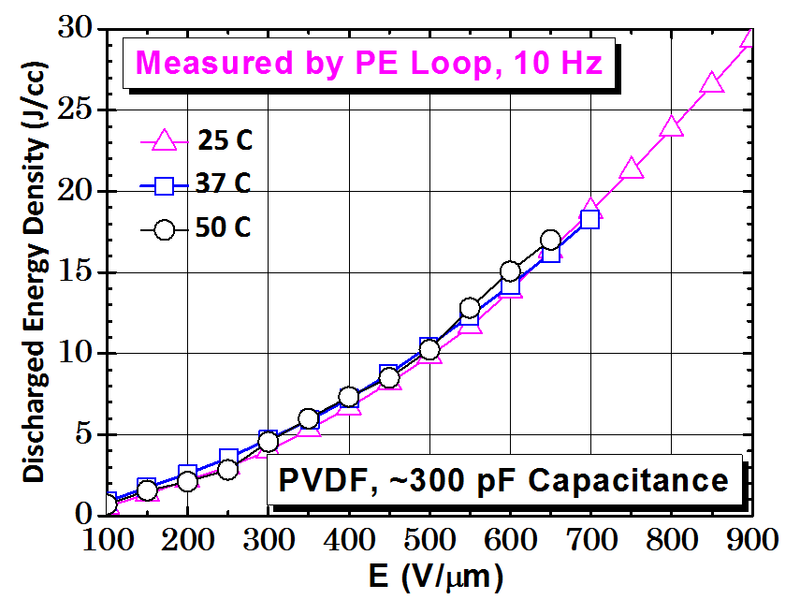 For use in research and development in high energy density capacitors, sensors, electroactive polymer EAP actuators, speakers, flexible, wearable, printed electronics. All films are free-standing, with uniform thickness, and with very thin thickness. 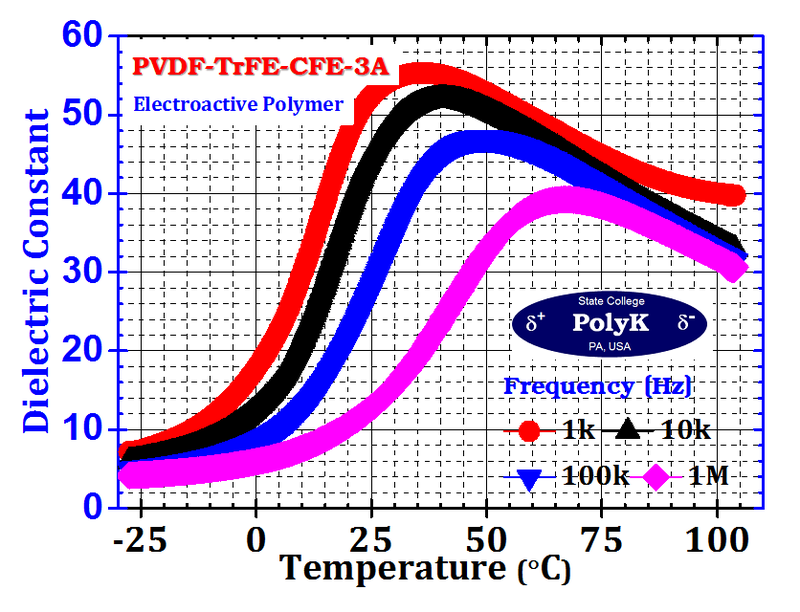 With advanced film processing technology, discharged energy density of 30 J/cc can be obtained in PVDF film (10 mm diameter area) without adding any nanoparticles. Sample Kit of 15 different dielectric capacitor film. PVDF-HFP copolymer film, 90/10 (wt), biaxially oriented. 6.2 um thick. 100 mm x 250 mm. Two pieces. Fluorene Polyester film (FPE), solvent cast. 5 ~ 6 um. Tg ~330 °C. 200 mm x 250 mm. 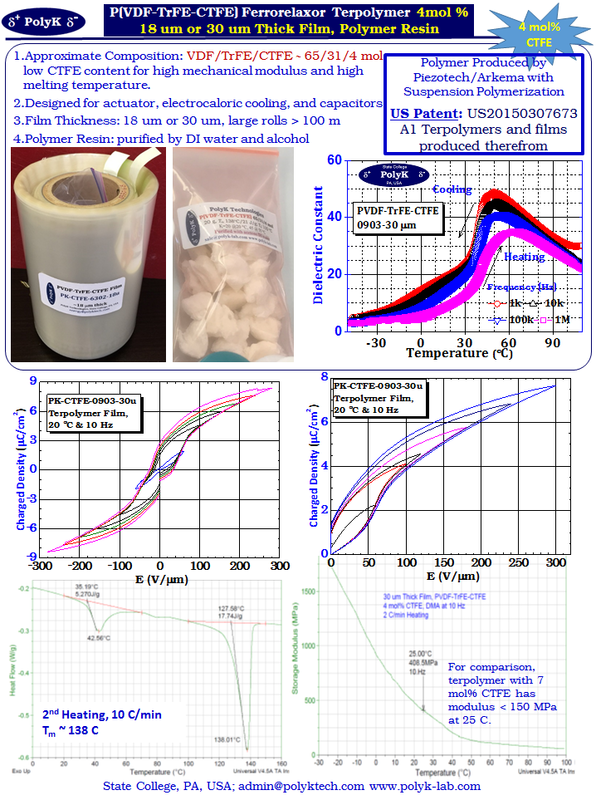 Ultrathin PET Film Sample Kit: Ten different thickness from 0.9 um to 12.5 um. Full rolls with wider width (315 mm or 520 mm). Made with Ultem 1000 and other Ultem polyetherimide resins with high glass transition temperature. Thickness from 5 um to 25 um. Different compositions and thickness are available. email for more information. 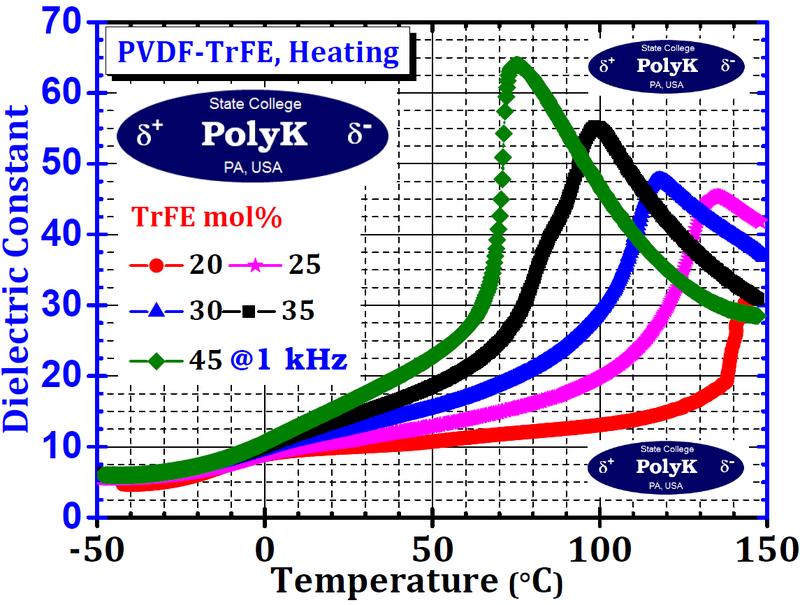 Also available are P(VDF-TrFE-CTFE) terpolymer film with either 4 mol% CTFE or 7 mol% CTFE. Extruded Ultem 1000 Polyetherimide PEI film, 12~13 um thick, 100 mm or 200 mm wide.